After a steady grooming from his father, Pranab started his musical training from Sh. Dilip Roy. 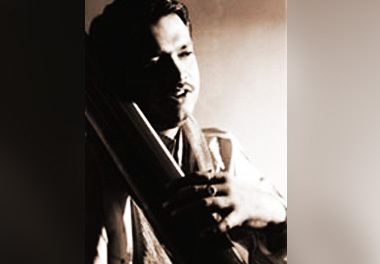 Then, he went on to receive focused training from Ustad Rashid Khan of Calcutta for many years. 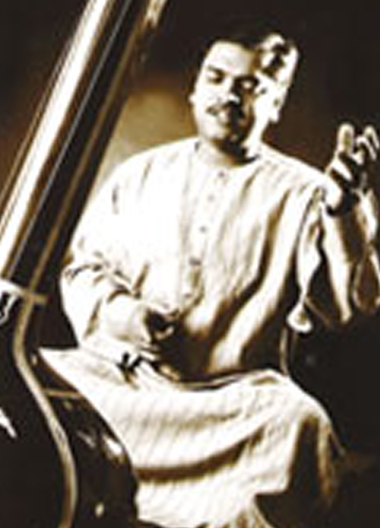 He then became a shishya of Ustad Nissar Husain Khan - "The living legend of the Rampur Sehswan Gharana". After Khan Sahib's death, Pranab migrated to Delhi in his quest for learning. 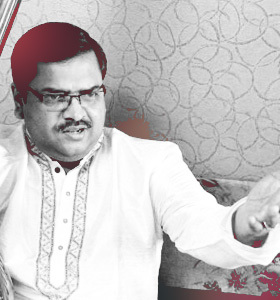 He came in contact with Padma Bhushan Pandit Debu Chaudhari, who gave him valuable guidance. 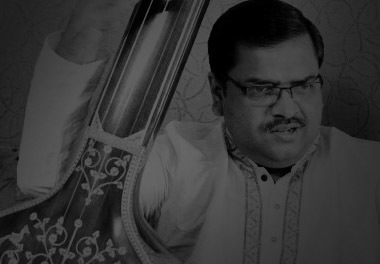 He was introduced to Sarfaraz Hussain Khan, the illustrious son of the late Khan Sahib, to carry on his training in the same Gharana. In the mean time, Pranab earned a name for himself as a bright rising star on the horizon and illuminated the name of his Gharana. Then, he was selected for a National Scholarship by the Government of India for his exceptional talent. 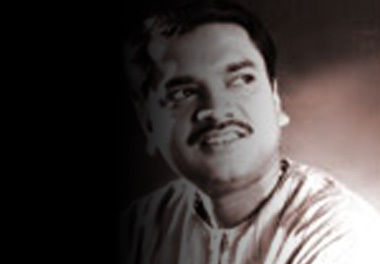 He went on to become a regular artiste for All India Radio. He successfully completed his M.Phil. in music from Delhi University. 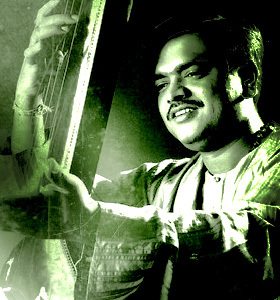 He has charmed audiences with his melodious & powerful performances in various places in India & Bangladesh. Pranab has been trained under the regular guidance of the famous Padma Bhushan Pandit Rajan & Sajan Mishra of the Benares Gharana. 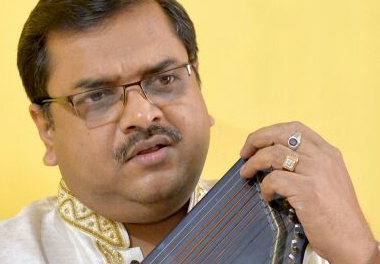 He has developed a new dimension to his style by blending the best of both Gharanas. VOCAL QUALITY AND STYLE :- His voice has a rich, soulful quality with fullness & resonance. A commanding reach and range that spans three octaves, with a unique combination of sweetness and power. His effortless manner of singing is outstanding. His taans rise and fall with natural grace, some with lightning speed. One is struck by his immaculate intonation and an unerring sense of style, rhythm, variety of vocal tones and graceful expression of deeply felt emotions. His musical style is aesthetic, unfolding changing patterns which transforms the listeners to another world. Selected for national scholarship by the Government of India (1998). Regular artist of All India Radio, Delhi. 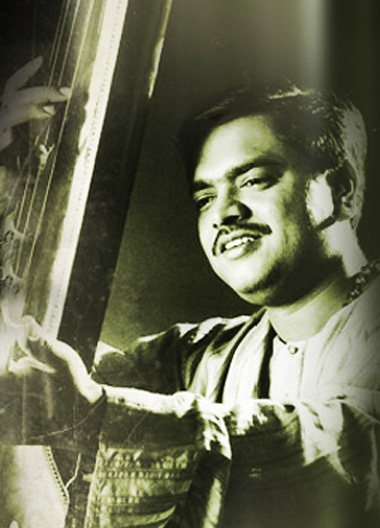 Performed and earned accolades at the Sahitya Kala Parishad's annual Yuva Mahotsva, New Delhi in 1998. 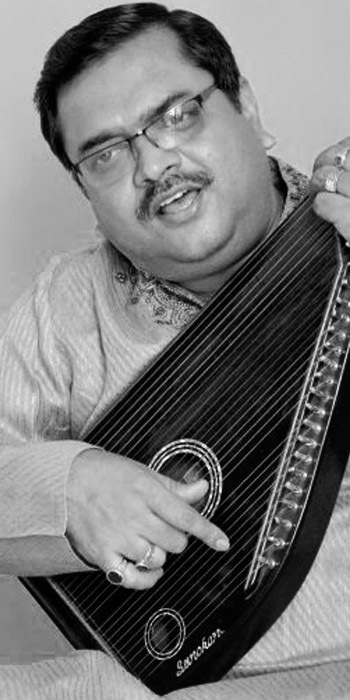 Performed to rave reviews in Sahitya Kala Parishad's Yatra series of concerts New Delhi [1999-2001]. Performed for the High Coimmission of India at the Indian Cultural Center, Bangladesh . Paneled artist of Indian Council for Cultural Relations (ICCR). Performed at Baba Harballabh Sammelan . Mallhar Festival at IMG, St. Xavier, Mumbai. Khyal Trust � Mumbai . He is travelling frequently Europe & USA since 2009. Antahin - Shantanu Moitra - Directed by Anirudha Chatterjee National Award winner. History-Genealogy: One of the prominent pioneers of this style was Ustad Inayat Hussain Khan of Sehswan. He came under the tutelage of Ustad Bahadur Husain Khan of Rampur, who represented the pure "Seniya" tradition which could be traced back to Miyan Tansen. This marked the beginning of a long association between Rampur and Sehswan. Hence this rich vocalism was called the Rampur Sehswan Gharana. Khan Sahib's visit to Gwalior resulted in an influence of the Gwalior Gharana. Later on, his two son-in-laws, Ustad Mushtaq Hussain Khan & Padma Bhushan Nissair Hussain Khan carried on the tradition of the Gharana. It then evolved into a blend of Agra & Gwalior Gharanas. Vocal Style: A salient feature of this style is the perceptible impress of the instrumental style in singing. Devices like "Meend" and "Soot" are an integral part of the overall scheme. 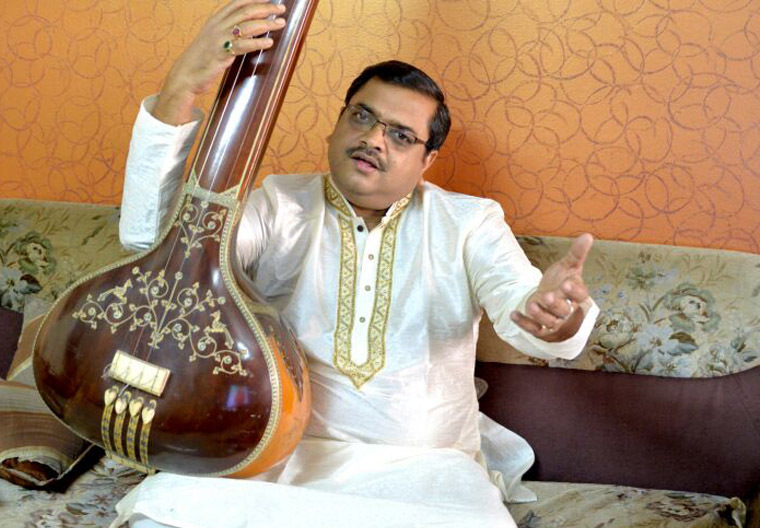 There are intricate sargam patterns, notably known as "Choot-ki-Sargam"; which come and go in quick succession. They cover three octaves, sometimes skipping octaves in between. Attention is paid to long range "Sapaat-Taan". Another unique feature is the "Tappa-Taan". 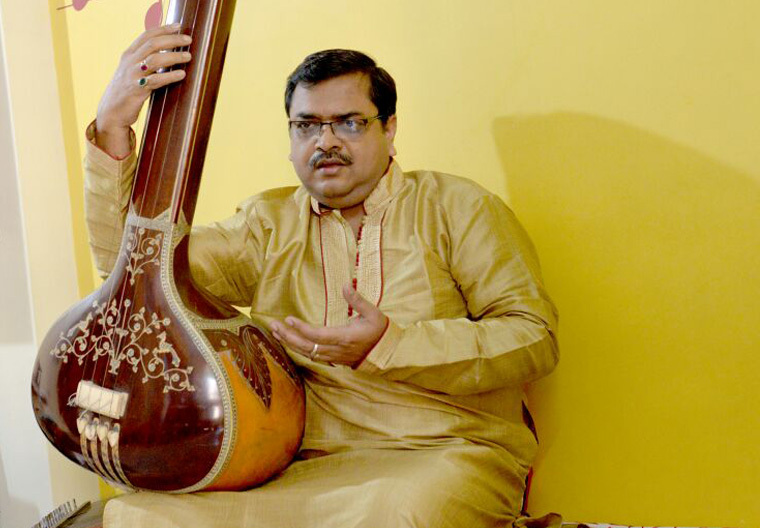 "Tarana" and "Layakare" are used to create dynamics. The intricate beauty of this style is revealed as it unfolds varieties of vocal patterns. The Torchbearers: Ustad Inayat Hussain Khan, Ustad Mushtaq Hussain Khan, Padma Bhushan Ustad Nissar Hussain Khan, Pandit Ramkrishna Vaze, Khadim Hussain Khan, Ishtiaq Hussain Khan, Ghulam Taqi, Ghulam Sadiq, Ghulam Mustafa, Hafeez Ahmed Hussaid and Rashid Khan. History-Genealogy: This rich heritage is associated with the holy city of "Varanasi", which needs to be aptly described as a parampara. This tradition is known to have produced at least two generations of vocalists, instrumentalists, percussionists and dancers. Vocal Style / Genre: This musical style has richness, devotion and a monumental quality. It is "Khayal-oriented". "Thumris" are also sung, which create certain moods through a combination of words and melody. Restraint of rendering is a feature of this graceful style. The Torchbearers: The shehnai maestro Bismillah Khan and the late sarangi wizard Gopal Mishra. The prima-dona of Kathak Sitara-devi. Vocalists Bade Ramdasji, Shrimati Siddheshwari Devi, Pandit Mahadev Mishra, the singing duo Pandit Rajan Sajan Mishra, Shrimati Girijadevi. While praising his recital THE HINDU daily writes "...because of his superior training and the slick and flawless execution, one spontaneously likes to put Pranab in the category of professional musicians." The PIONEER daily says, ".....the performance was like a flowering perfection. It's different stages like aalap, behalav and bole banav as worthy of appreciation.....It is precisely in observing this discipline that Pranab will always attract attention of the connoisseurs. His flair for tana is indeed remarkable." The BANGA BANDHU daily says, "....The touch of his Great Masters could easily be traced in his masterly way of handling the music. Pranab beautifully and slowly unfolded the spirit of the music in front of his audience, who clearly were mesmerized with his brilliant performance. SHRUTI says, ".....But the most impressive feature of his total singing was his ability to execute fluent powerful tanas (in pure aakar) that looked perfectly articulate in spite of their pace and nowhere tended to offend the listening ear...."
7 Mar '10: Sabarban Music Circle - Santacruz, Mumbai. © 2019 Pranab Kumar Biswas. All rights reserved | Design by ARESS COMMUNET.